Alitronika offers DVB-ASI adaptors on IP, PCI and USB platforms. 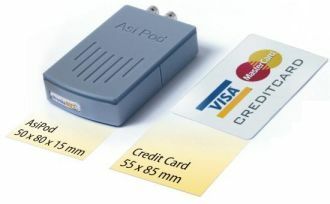 AsiPod is the smallest DVB-ASI device in the world and the AT140USB, iStreamOnMyOwn, a new concept in DVB adaptors. The AT140USB, iStreamOnMyOwn, as the name implies, can stream any Transport Stream, recorded on its on board Flash Memory, without a PC/Laptop. The AT30LPPCI & AT40LPPCI are low cost PCI based TS Recorder/Player. The AT240IP is a 4 channel IP based TS Recorder/Player/Converter. DVB-ASI to IP Converter & Recorder/Player.